This variety was raised in America back in 1964 and is aptly named, for the berries have a most beautiful glowing red colour and ripen very early in the season, at about the same time as Honeyoye. 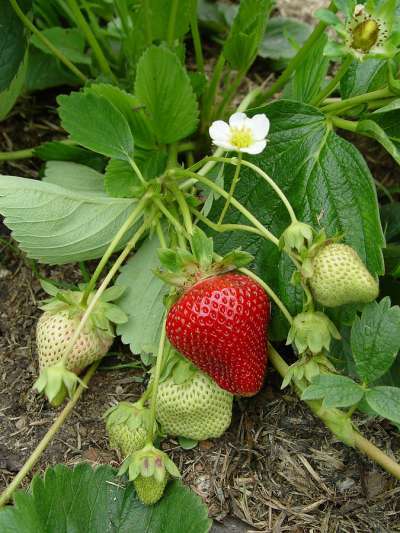 The flavour is very sweet and juicy and the berries are suitable for all purposes in addition they freeze very well. Disease resistant qualities include resistance to Verticillium wilt, Leaf spot and partly resistant to mildew. A most attractive and enjoyable variety to grow, very seldom offered.